Cappelletti was out of pro football in 1959, back in Minnesota. With the launch of the American Football League in 1960, he joined the Boston Patriots and was initially a kicker and defensive back. He switched to offense late in that season and teamed up with quarterback Babe Parilli to form a tandem nicknamed "Grand Opera Twins", due to their Italian surnames. Cappelletti won AFL MVP honors in 1964, led the league in scoring five times and was a five-time AFL All-Star. He holds the professional football record for points over a six-year period (9.5), points over an 11-year period (7.5) and percentage of his team's total points over an eight-year period (34%). One of twenty AFL players active during the entirety of the league's ten-year existence, Cappelletti was also among just three players who played in every one of his team's AFL games. He played with the Patriots all eleven years in Boston, from 1960 through the 1970 NFL merger season, and retired in late August 1971 at age 37; he was the AFL's all-time leading scorer with 1,130 points (42 TDs, 176 FGs and 342 PATs) and among the AFL's top ten all-time receivers in yards and in receptions. Cappelletti had two of the top five scoring seasons in pro football history, with 155 points in 1964 and 147 points in 1961 (14-game seasons). His Patriots team scoring record lasted until it was broken by Adam Vinatieri on December 5, 2005. To date, Cappelletti is the Patriots' third all-time leading receiver with 292 catches for 4,589 yards, and has the most field goal attempts (334) in team history. In 1984, Cappelletti was inducted into the National Italian American Sports Hall of Fame. Despite his star quality and his numerous records, Cappelletti, like other worthy American Football League players, has continually been passed over by the selectors for the Pro Football Hall of Fame. In 2003, he was named to the Professional Football Researchers Association Hall of Very Good in the association's inaugural HOVG class. 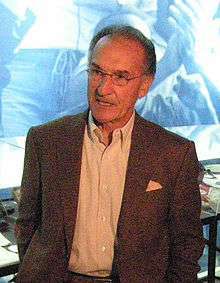 Gino, who did TV sports in Boston in the 1960s, also served as color commentator for the Boston College Eagles during the famous "Hail Flutie" game in 1984. Cappelletti can be heard supporting Dan Davis' now-famous call by yelling "He got it!, He got it!, I don't believe it!" On July 20, 2012, Cappelletti announced his retiriement from broadcasting. Cappelletti is the father-in-law of ex-Boston College and Chicago Bears standout Tom Waddle. Cappelletti is not related to running back John Cappelletti of Penn State, the Heisman Trophy winner in 1973. 1 2 Carnicelli, Joe (September 1, 1971). "Cappelletti retires at 37". Times-News. Hendersonville, North Carolina. UPI. p. 13. 1 2 Hand, Jack (December 17, 1964). "Gino Cappelletti named most valuable player". Evening News. Newburgh, New York. Associated Press. p. 13B. 1 2 "Cappelletti kicks six FGs". Eugene Register-Guard. Oregon. Associated Press. October 5, 1964. p. 6B. ↑ Oldeman, Ryan. "Legendary New England Patriots Broadcaster Gino Cappelletti Signing Off After 32 Years". Sports Media 101. Retrieved 2012-07-20. 1 2 "Cappelletti Patriot hero". Nashua Telegraph. New Hampshire. Associated Press. October 30, 1961. p. 13. ↑ "Minnesota comeback beats fumbling Hawkeyes, 17-7". Pittsburgh Press. United Press. November 2, 1952. p. 42. ↑ "Gopher rally beats Iowa". Milwaukee Sentinel. Associated Press. November 2, 1952. p. B3. ↑ Ingrassia, Tony (November 20, 1954). "Badgers favored over Minnesota". Milwaukee Sentinel. p. 2, part 2. ↑ Ingrassia, Tony (November 21, 1954). "Badgers rout Gophers, 27–0; set interception record". Milwaukee Sentinel. p. 1C. ↑ "Patriots find unknown ace in Cappelletti". Eugene Register-Guard. Oregon. Associated Press. November 2, 1961. p. 2D. ↑ "Gino Cappelletti took golf tip from Palmer to help kicking". Milwaukee Journal. UPI. February 22, 1965. p. 2, Final. ↑ "Parilli gains loop award". Spokane Daily Chronicle. Washington. Associated Press. November 19, 1964. p. 40. ↑ "Gino Cappeppetti, last of original Patriots, retires; Forrest Gregg joins Dallas". Gettysburg Times. Pennsylvania. Associated Press. September 1, 1971. p. 19. ↑ "Cappelletti leads Patriot triumph". Eugene Register-Guard. Oregon. Associated Press. December 19, 1965. p. 2B. ↑ "Cappelletti '73 Heisman Winner". Spartanburg Herald. South Carolina. Associated Press. December 5, 1973. p. B2.